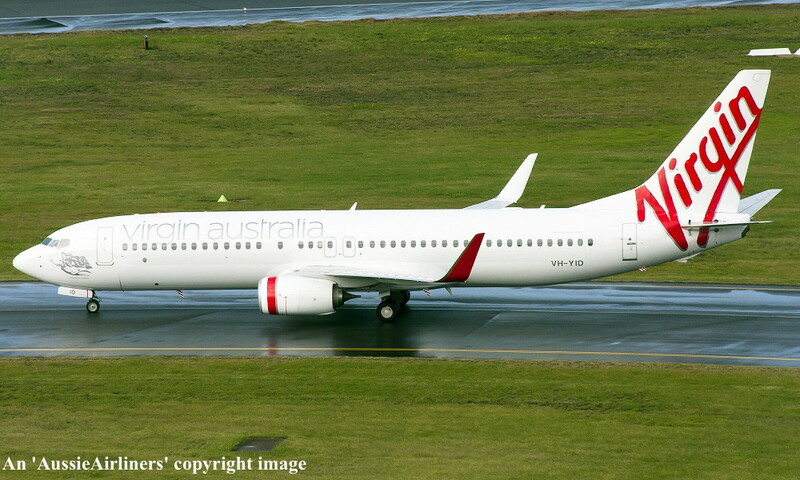 VH-YID. 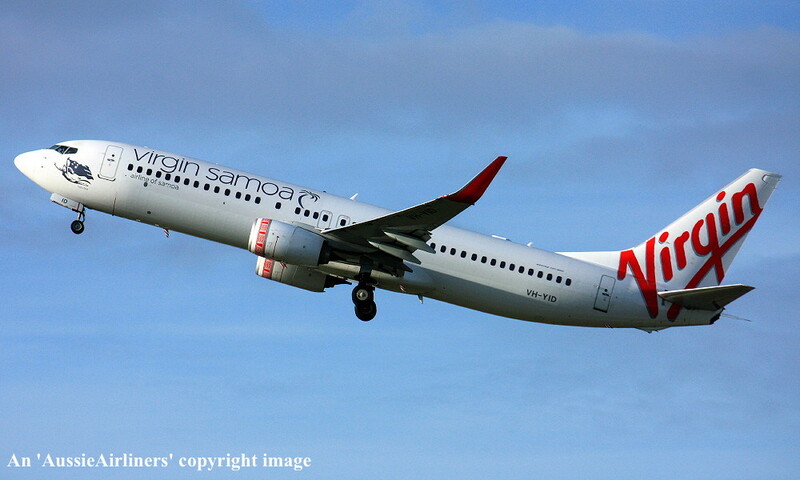 Boeing 737-8FE. c/n 38709-3851. 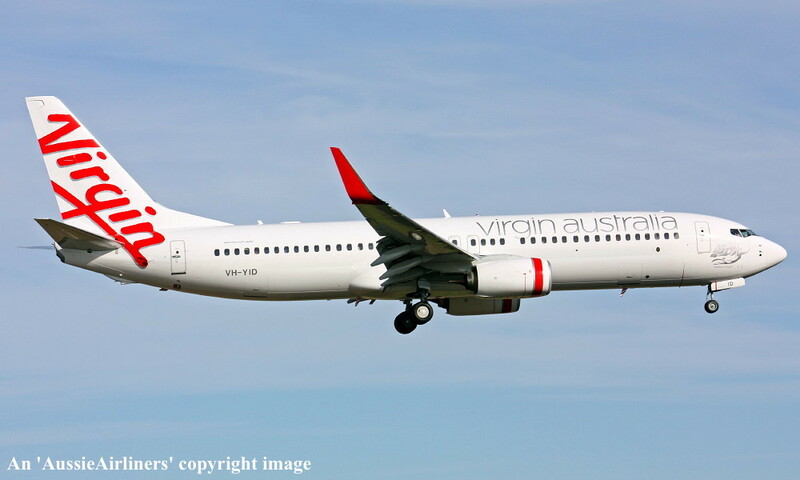 This aircraft was ordered new by Virgin Blue Australia Pty Ltd - ? 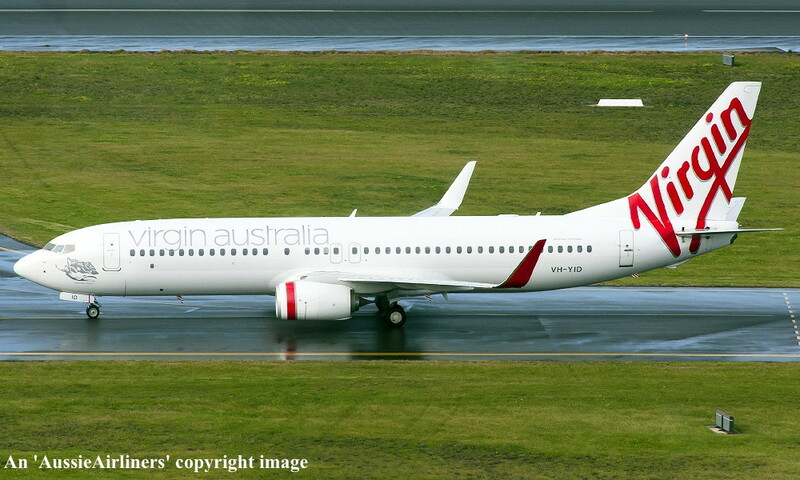 VH-YID. 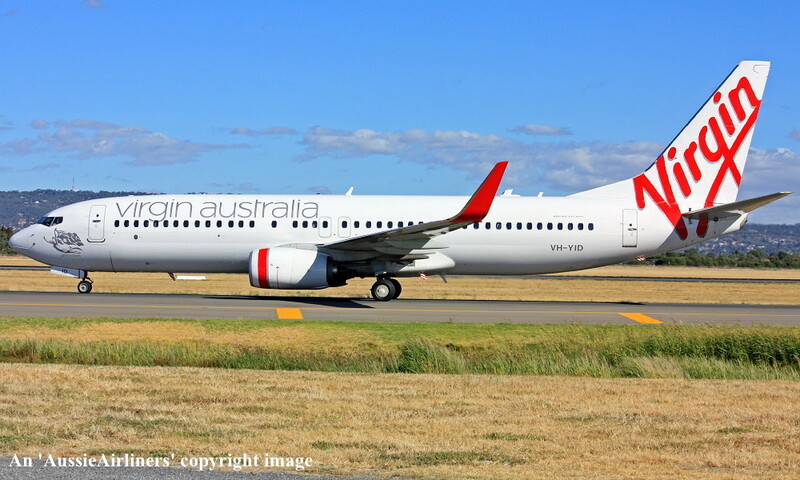 Virgin Australia - 'Rainbow Beach' in the standard livery at Adelaide Airport, January 02, 2012. 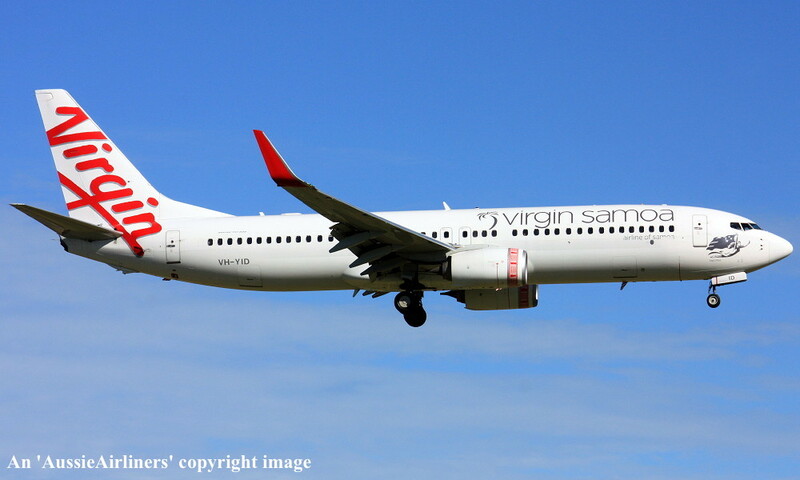 VH-YID. 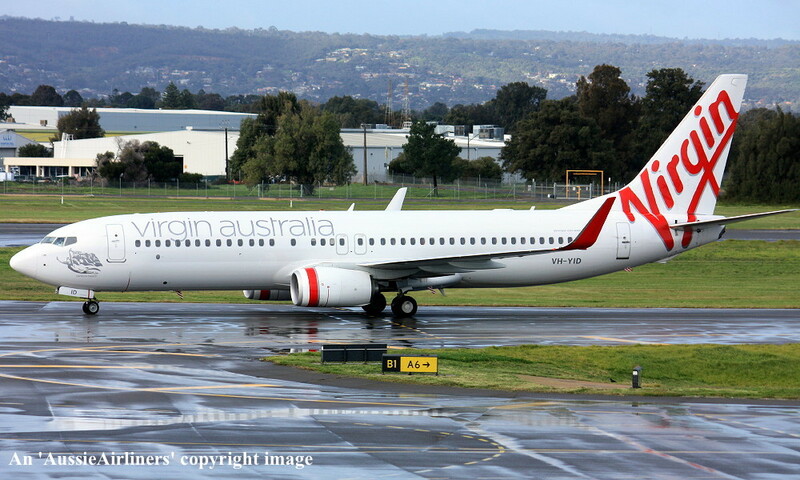 Virgin Australia - 'Rainbow Beach' in the standard livery at Adelaide Airport, March 25, 2012. 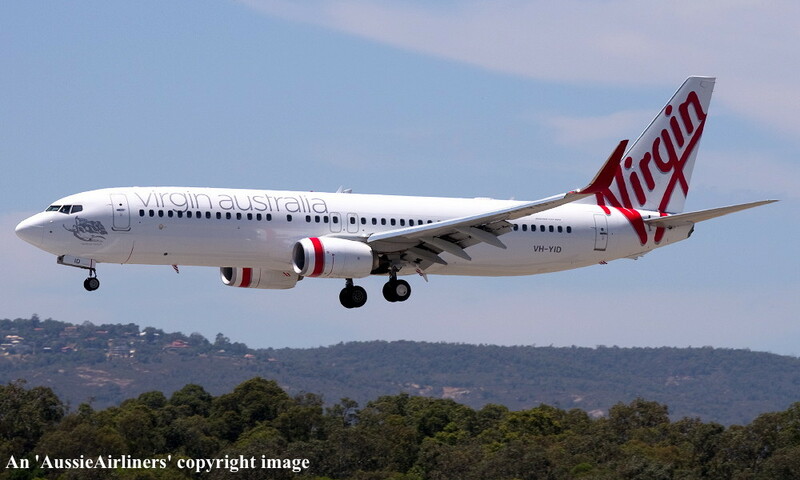 VH-YID. 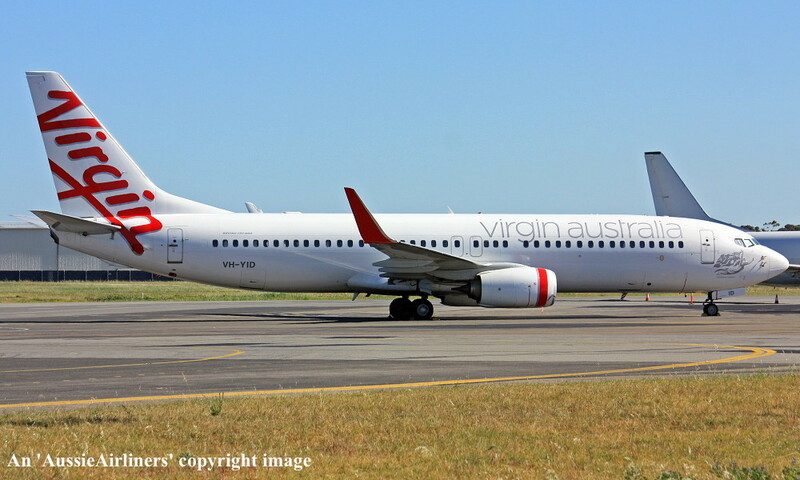 Virgin Australia - 'Rainbow Beach' in the standard livery at Adelaide Airport, January 27, 2013. 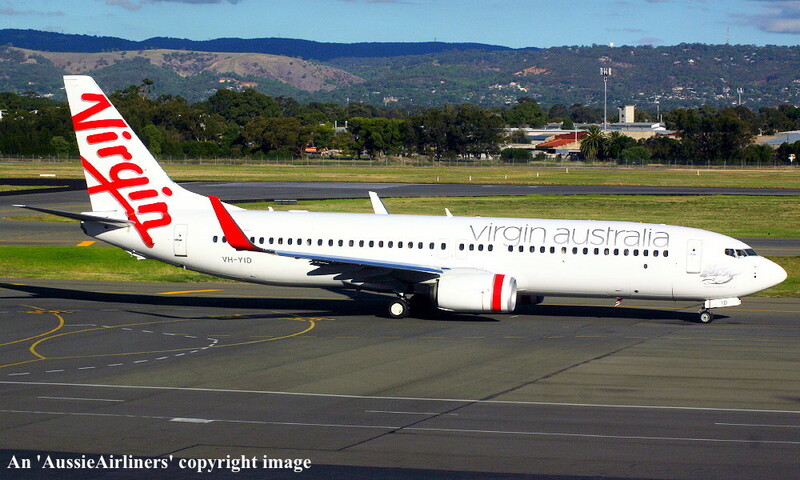 VH-YID. 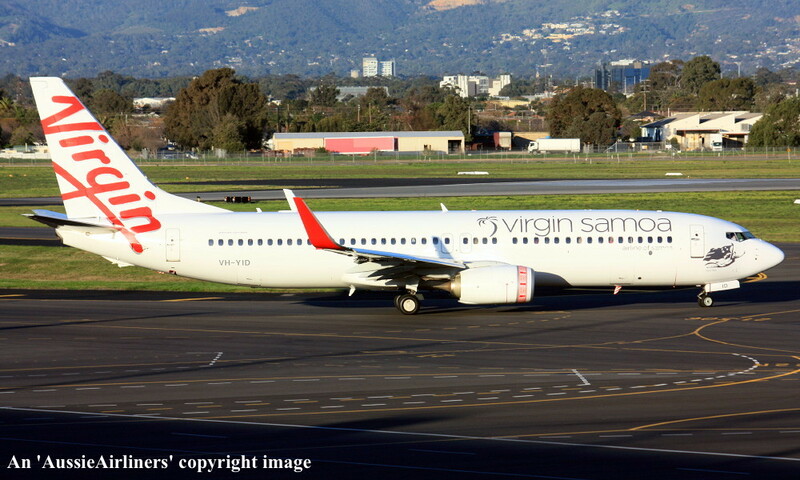 Virgin Australia - 'Rainbow Beach' in the standard livery at Adelaide Airport, July 08, 2013. 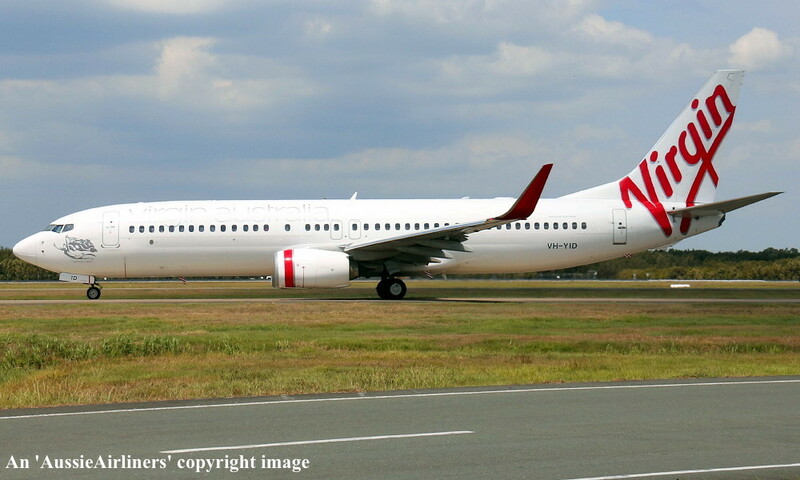 VH-YID. 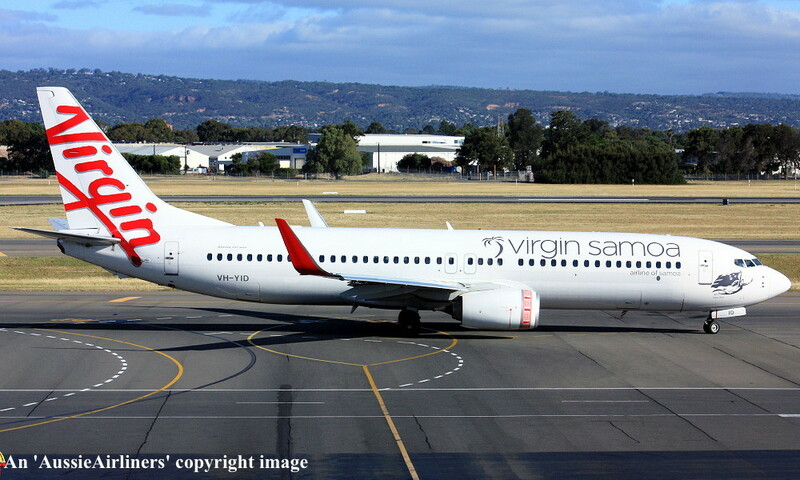 Virgin Australia - 'Rainbow Beach' in the standard livery at Adelaide Airport, August 02, 2013. 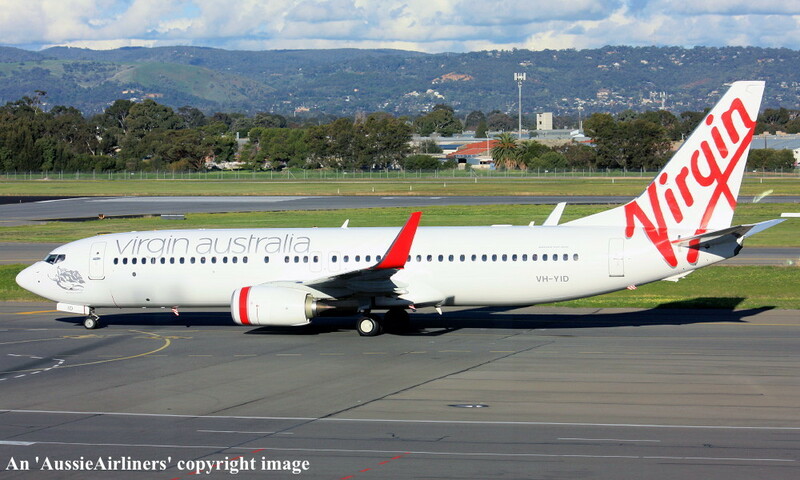 VH-YID. 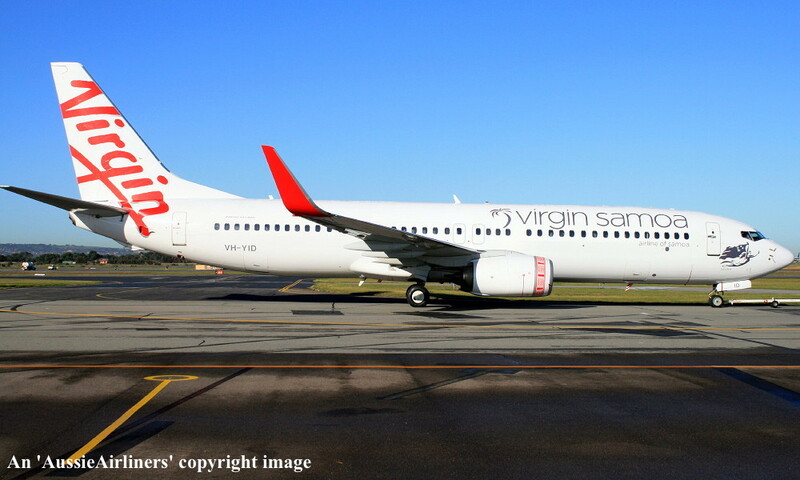 Virgin Australia - 'Rainbow Beach' in the standard livery at Brisbane Airport, October 03, 2013. 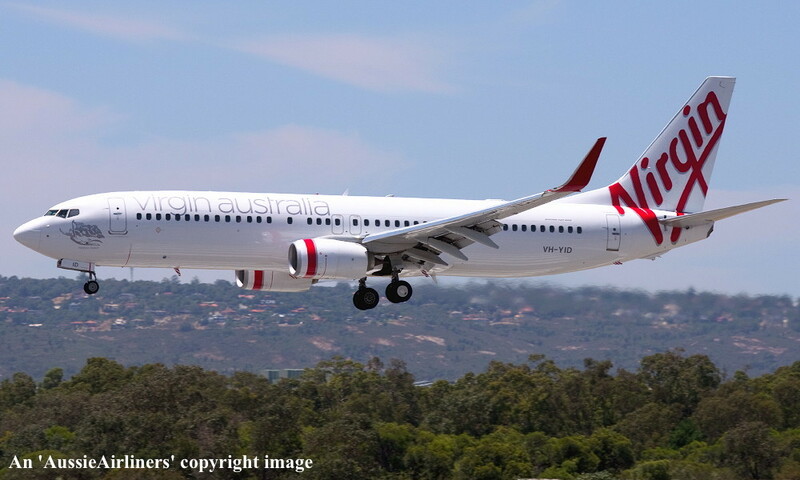 VH-YID. 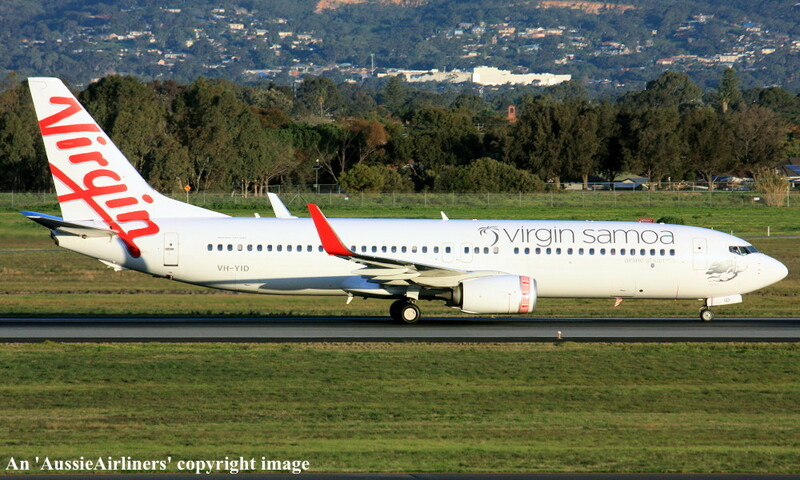 Virgin Australia - 'Rainbow Beach' in the standard livery at Perth Airport, November 21, 2013. 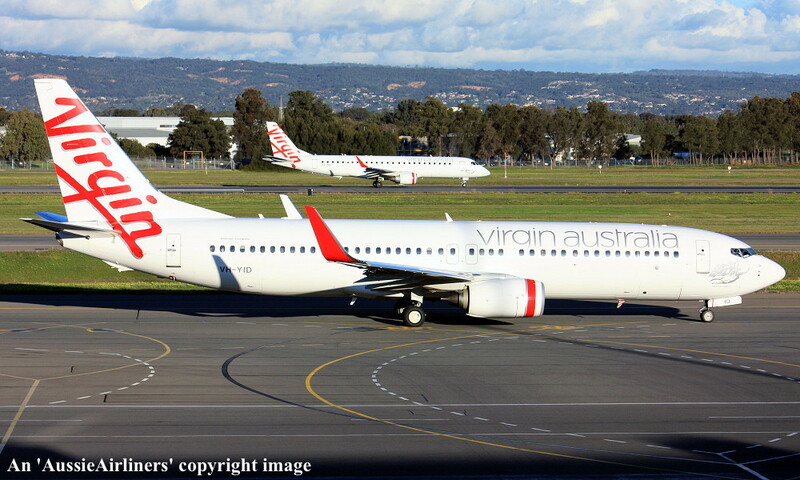 VH-YID. 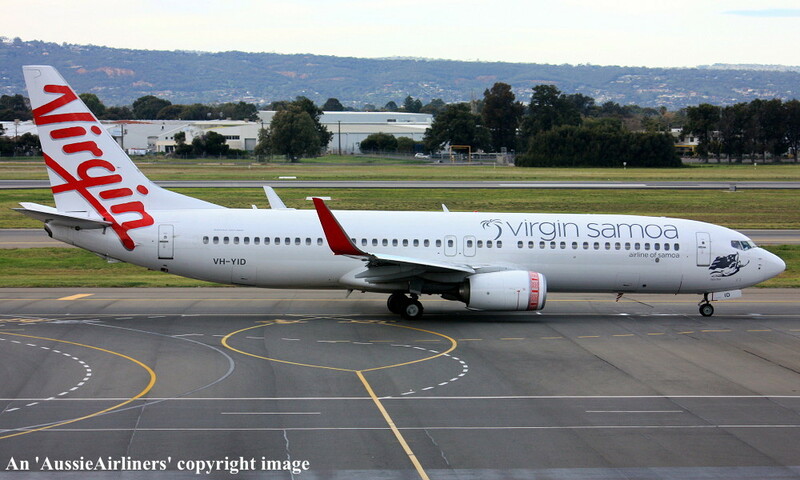 Virgin Australia - 'Rainbow Beach ' in the standard livery at Adelaide Airport, September 23, 2014. VH-YID. 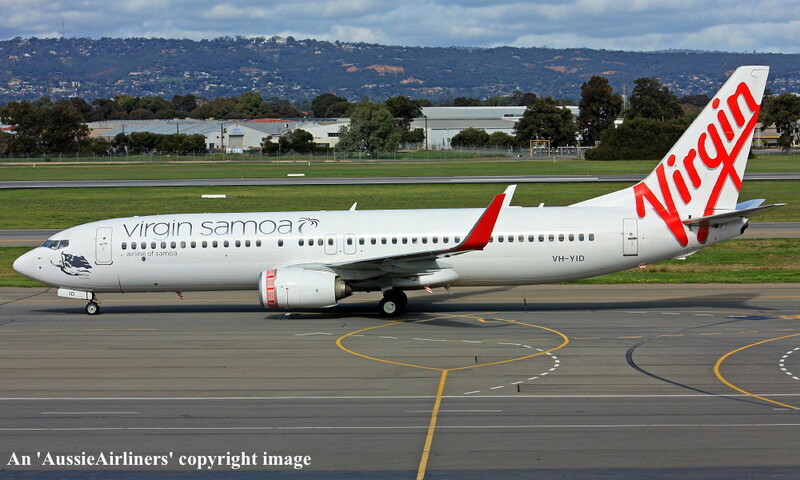 Virgin Samoa Airline of Samoa - 'Tapu Itea' in the standard livery at Adelaide Airport, May 03, 2015. VH-YID. 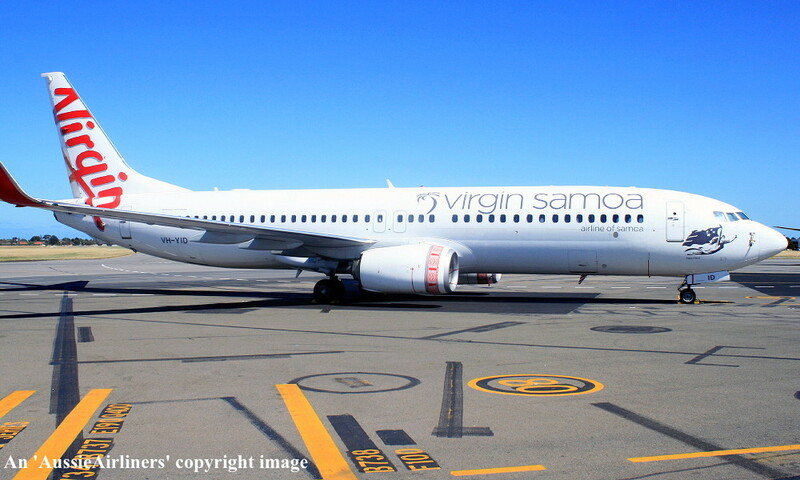 Virgin Samoa Airline of Samoa - 'Tapu Itea' in the standard livery at Adelaide Airport, June 14, 2015. VH-YID. 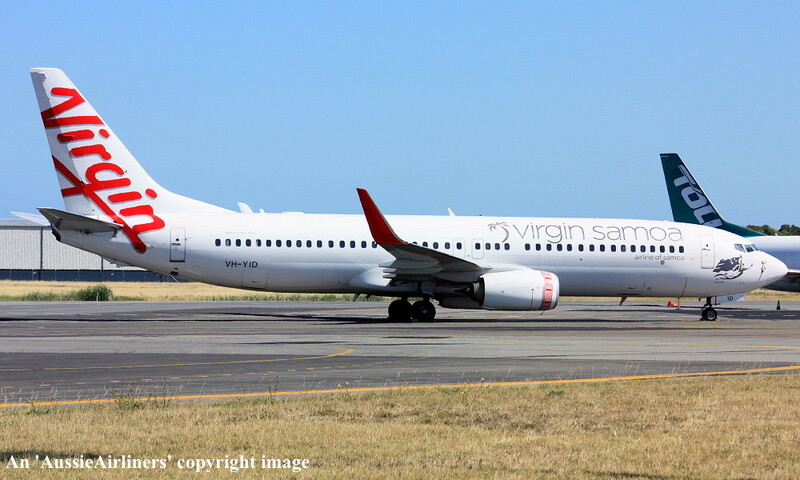 Virgin Samoa Airline of Samoa - 'Tapu Itea' in the standard livery at Adelaide Airport, July 23, 2015. VH-YID. 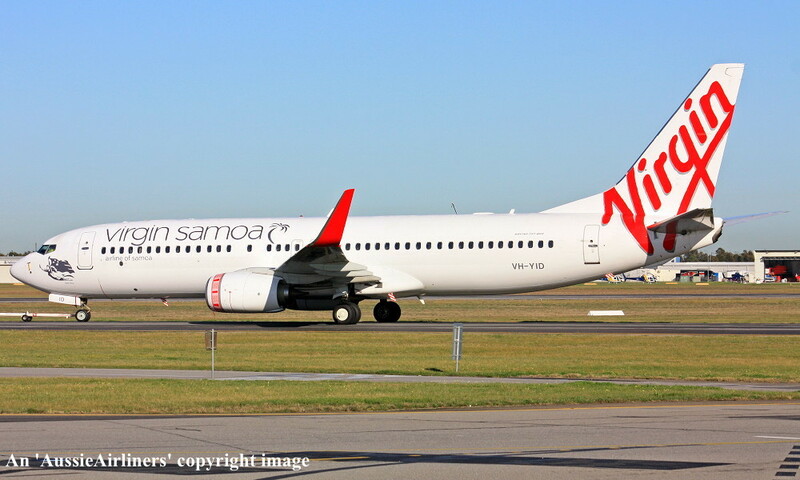 Virgin Samoa Airline of Samoa - 'Tapu Itea' in the standard livery at Melbourne Tullamarine Airport, July 25, 2015. VH-YID. 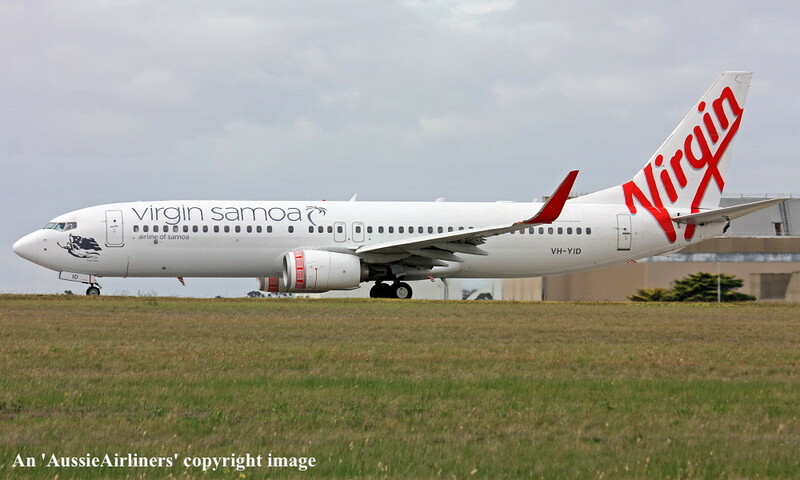 Virgin Samoa Airline of Samoa - 'Tapu Itea' in the standard livery at Adelaide Airport, August 23, 2015. VH-YID. 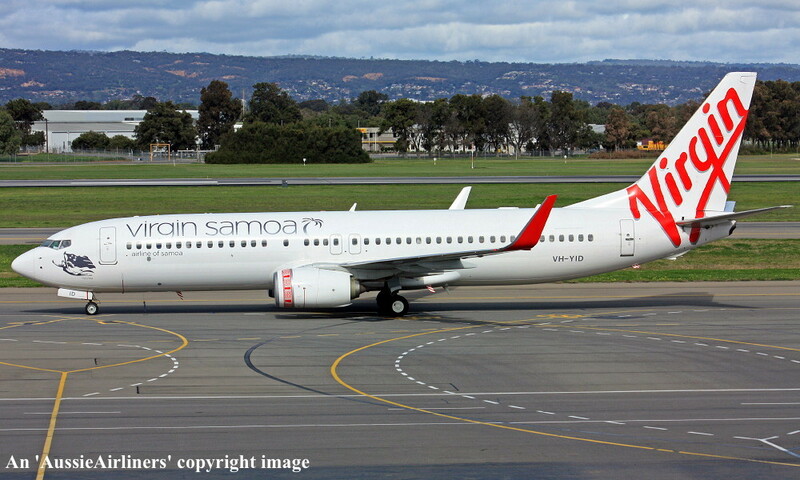 Virgin Samoa Airline of Samoa - 'Tapu Itea' in the standard livery at Adelaide Airport, September 10, 2015. VH-YID. 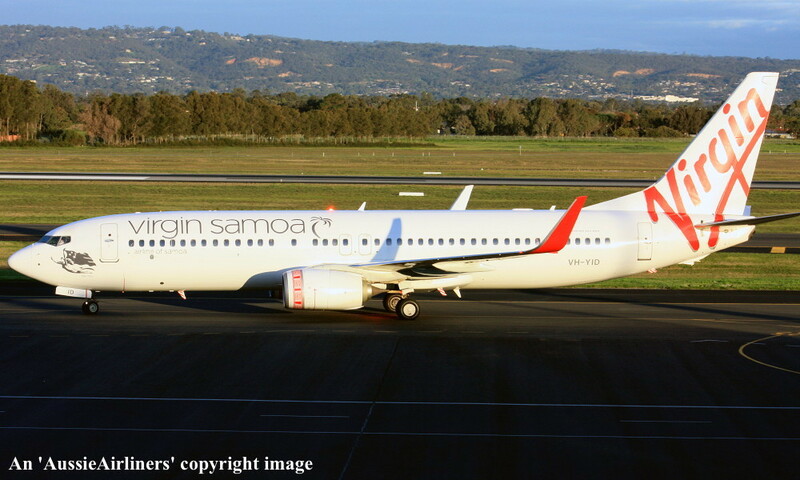 Virgin Samoa Airline of Samoa - 'Tapu Itea' in the standard livery at Adelaide Airport, November 15, 2015. VH-YID. 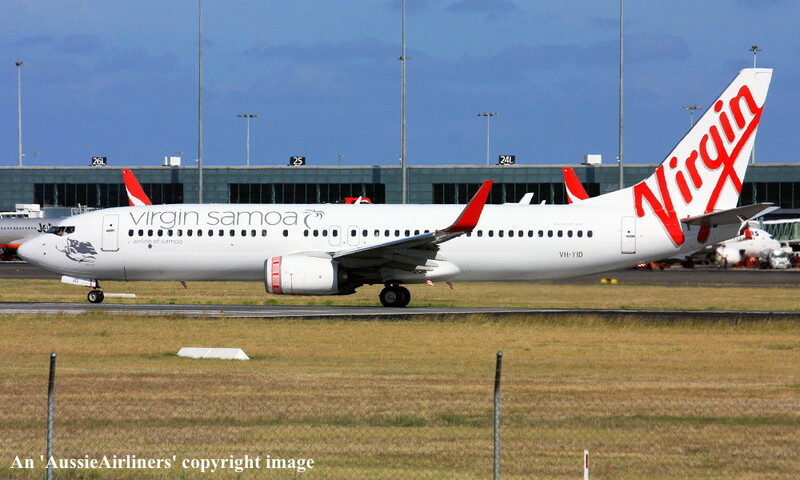 Virgin Samoa Airline of Samoa - 'Tapu Itea' in the standard livery at Adelaide Airport, November 21, 2015. VH-YID. 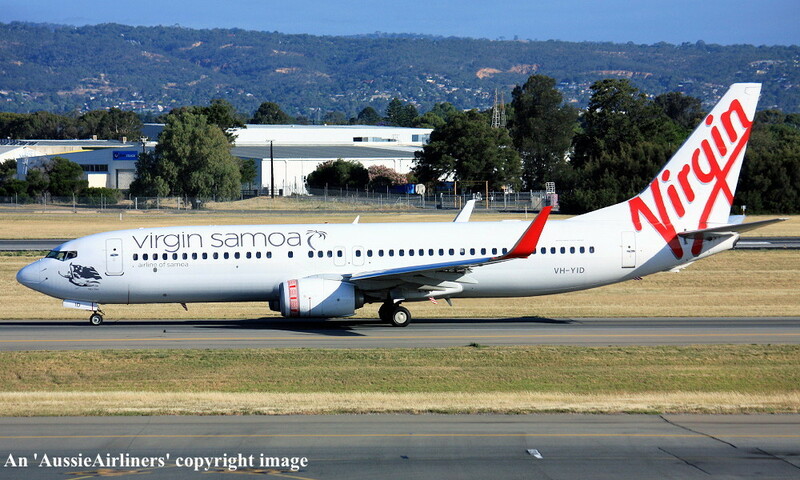 Virgin Samoa Airline of Samoa - 'Tapu Itea' in the standard livery at Adelaide Airport, June 18, 2016. VH-YID. 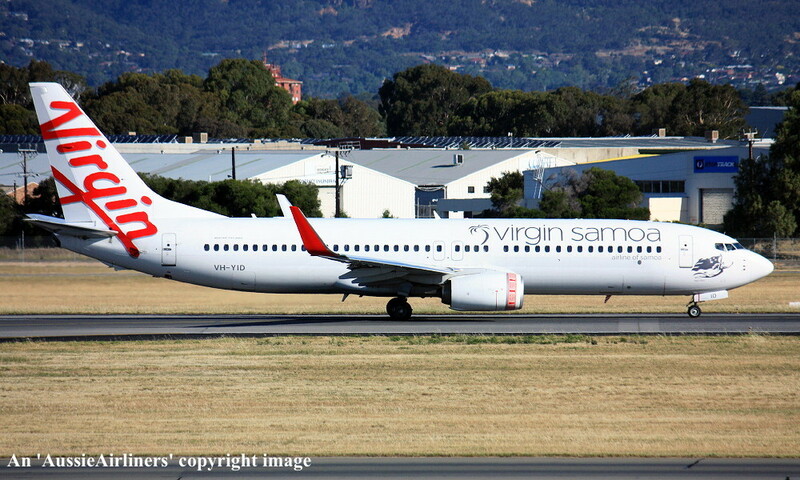 Virgin Samoa Airline of Samoa - 'Tapu Itea' in the standard livery at Adelaide Airport, August 14, 2016. VH-YID. 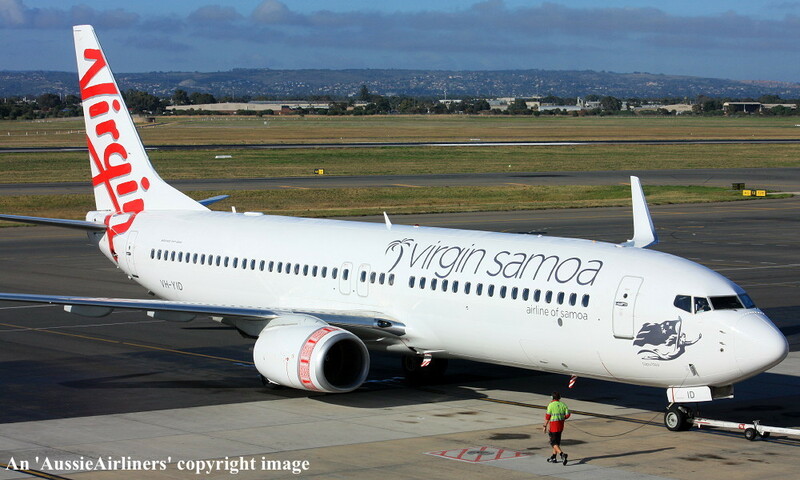 Virgin Samoa Airline of Samoa - 'Tapu Itea' in the standard livery at Adelaide Airport, January 22, 2017. 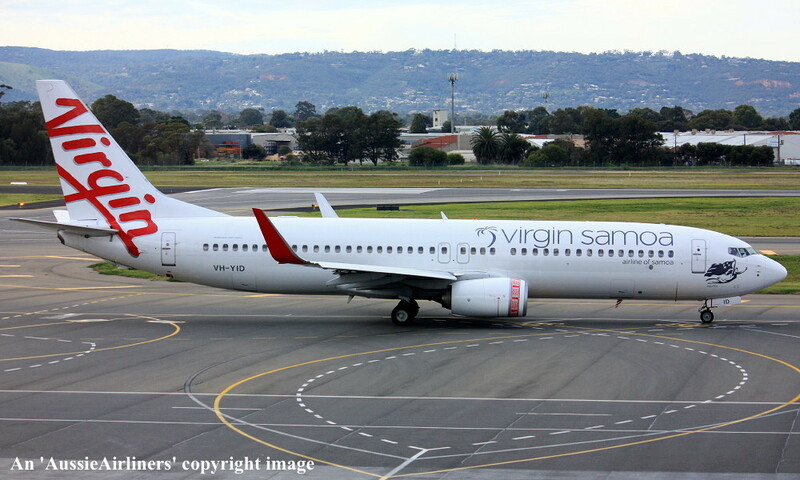 VH-YID. 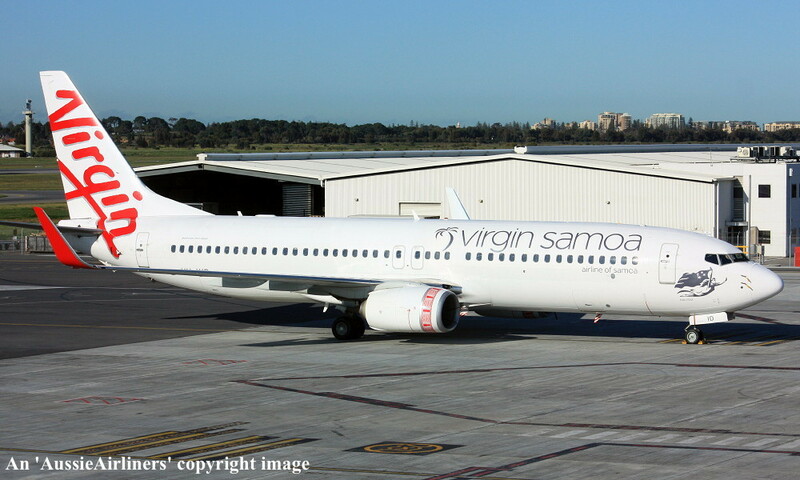 Virgin Samoa Airline of Samoa - 'Tapu Itea' in the standard livery at Adelaide Airport, March 05, 2017.